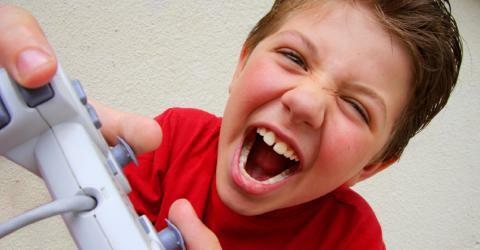 The New Gamer – We like to write about games. Sorry for the awful pun in the headline, but, well, you know. Sometimes it has to happen. I purchased the Playstation Vita the other day, after a long process of swearing I’d never get one. Of promising myself that the PSPGo would be the last Sony folly I’d purchase. When all was said and done, though, two of my handhelds and a bunch of games traded in later, I have a Vita. And, wow, I hate to say it, but this is a pretty amazing little gaming device. Little is more of a figure of speech. The screen on this bad boy is the same dimensions as my iPhone. The entire iPhone, not just the screen portion. If I were to cut out the PS Vita screen with an Xacto knife, I’d be able to slot the iPhone in there. The screen resolution is nice–not new iPad nice, but the same chip is at play here–but tons have been said about that already. It’s pretty, yeah, ok. It makes PSP resolution games look a bit hazy. But still, this isn’t a console replacement. The iPad can do almost console-quality graphic performance, if my observations are true. 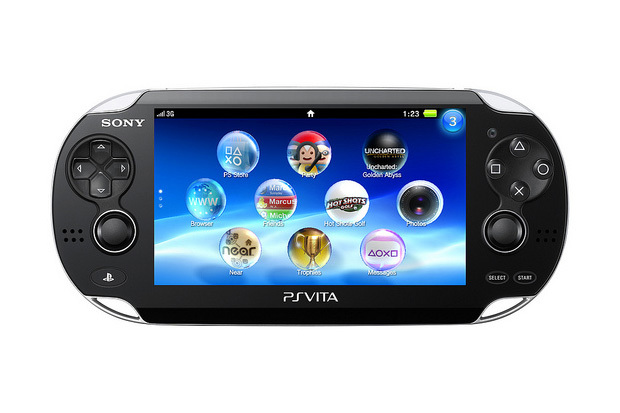 The PS Vita, on the other hand, still looks a bit less than console awesome. Of course, the tech is new and all that, but still. If Epic can make Infinity Blade II on the iPad look that good? Someone should have been able to do so on the Vita. But that’s not my point here. My point is that Sony has obviously taken some cues from other successful products. The two I notice most now after a few days? The touchscreen and the, well, whatever they’re calling the XMB area. The place with all the apps. I thought the touchscreen would be a gimmick, something bootstrapped onto a PSP for stupid handheld tricks. Not so. The touchscreen makes this baby sing. Typing, for one, is finally usable. If I never see another ridiculous three letters and a number per space typing interface again, it’ll be too soon. Typing on this is how typing should be. THere’s even a rudimentary word-prediction feature that’s pretty nice. The Vita interface is slick, and obviously designed with a touchscreen in mind. Games and other apps seem to pause when the PS home button is pressed, shrinking down into sheets that can be swiped left or right, or diagonally down fromt eh upper right corner to dismiss. It’s got a bit of WebOS feel to it in this sense. Great way to have it work. Tap the PS home button, freeze the app, move it aside for another. It feels like multitasking. Bravo, Sony. I thing the circular app icons are a bit too “not-apple-at-all-no-way” for my taste, but they are easily moved, and app pages are easily added. All in all, a great effort. The Vita, so far, is a slick piece of kit, just like the original PSP was lo those many moons ago. I miss my original PSP. It felt like a quality piece of hardware, and the Vita has a similar solidity. The power button is (FINALLY) moved away from my clutching right hand, and the dual analog-esque sticks are great. The D-Pad is a little wonky with it’s single piece of plastic design, but I suppose Sony couldn’t get it ALL right. I dig playing around in the interface. i like “Near,” the answer to Nintendo’s StreetPass system. I like the idea of near, and even in my small city suburb, I’ve found a few other folks playing the same Uncharted and Rayman demos I am. It’s a clever idea, well-enough implemented. Speaking of Nintendo, while Sony took its cue from Apple in designing the touchscreen, they definitely hired the Nintendo Shopping dude to create their music. Whenever I’m browsing the PSN store or goofing around in Near, the music sounds like the Wii music. There’s no denying the friendly atmosphere of that music. Fascinating choice, there. Overall? I haven’t bought any games yet, and have only downloaded PSP games I already own, and the demos available for Vita launch titles. But this is a slick piece of kit that I’m fairly happy I picked up. At least it’ll look better on my desk gathering dust than the last three systems that sat there. Top 10 iOS Games from Last Year Advice to Writers?